A perfect match! Combine our spacious tote bag Cala with the slim detachable clutch Uma for safe storage of all your small items and valuables. IN STOCK // This set is handmade in small series in our studio in Stuttgart. Your order will be processed within 72 hours from the date of order. Standard shipping takes one to two working days within Germany or two to five working days to Austria. With seams reduced to a minimum and an architectural volume, Cala is a sophisticated bag for minimalists. 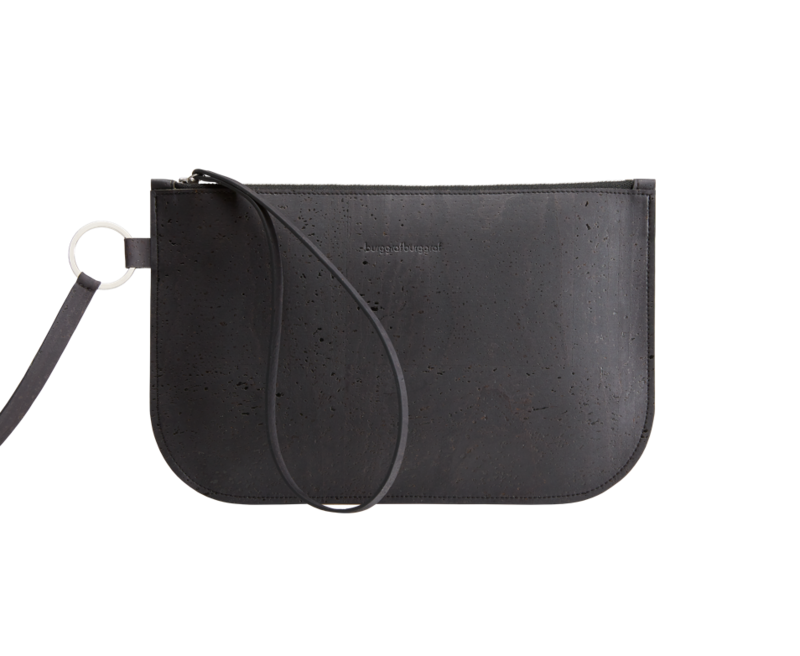 Our clutch Uma is a perfect addition: Attached to the key ring of the tote bag or worn separately as a clutch, Uma will hold all your precious things. The slim silhouette and practical zipper closure make it elegant and practical at the same time. 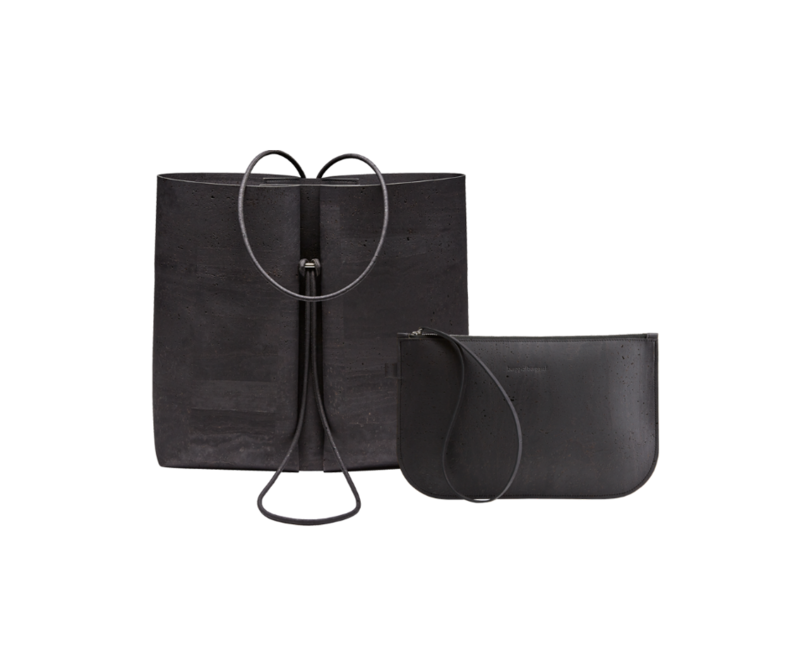 Both bags are made of premium cork leather from Portugal – a highly durable, abrasion and wear resistant material with naturally waterproof properties. 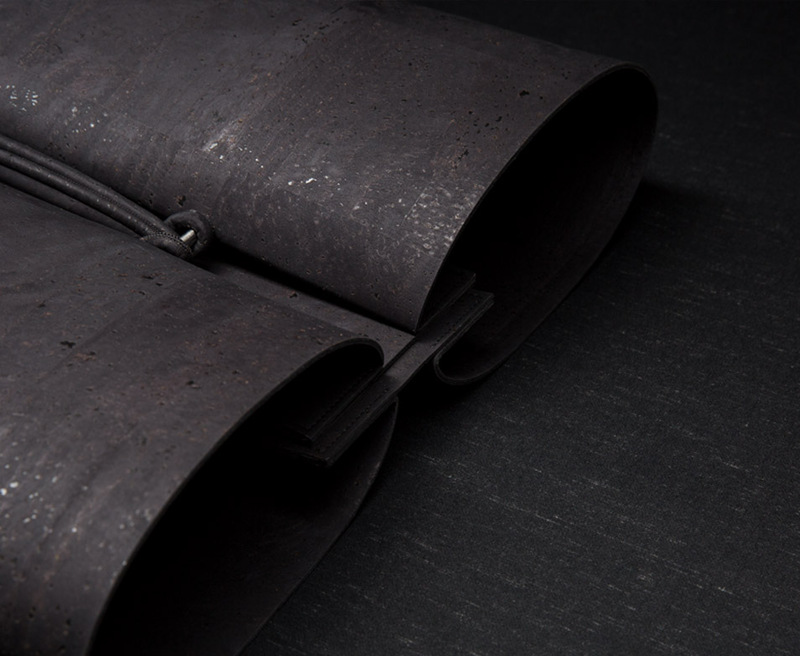 Cork is a vegan material with a warm touch and matte surface finish. Naturally occurring variations in the cork skin make each bag a one-of-a-kind. 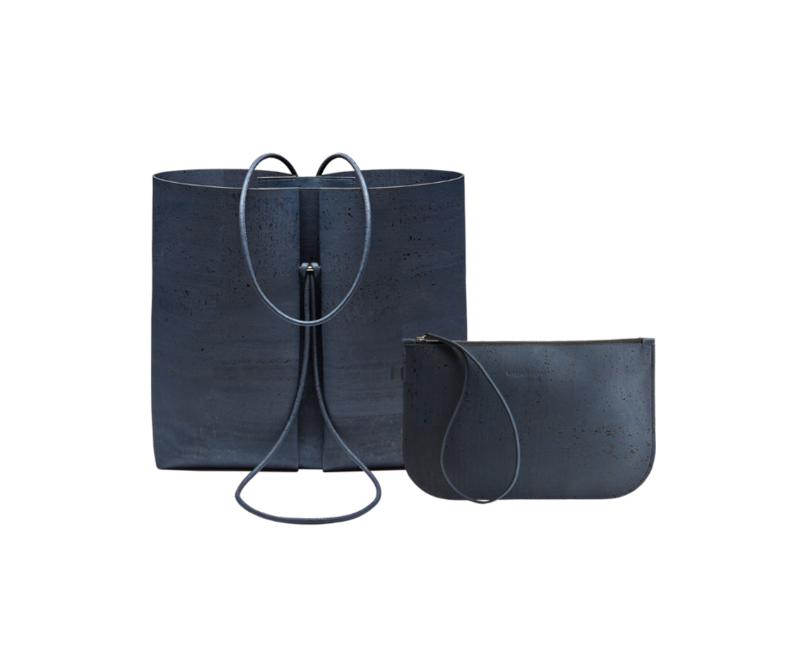 This set is also available in navy, birch grey and graphite grey. 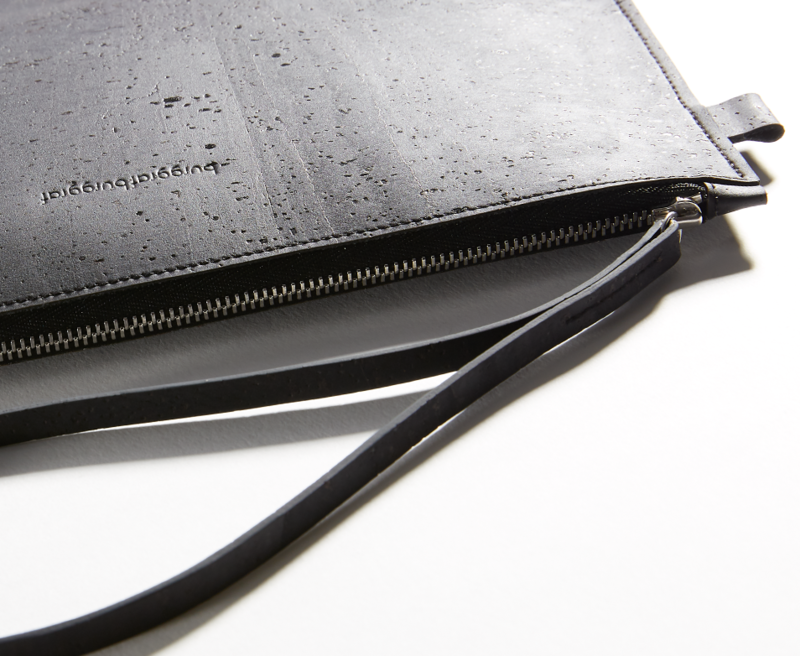 Corkleather is naturally water resistant and easy to care for. We recommend to remove dirt with a damp cloth and mild detergent. Please do not put your bags in the washing machine.